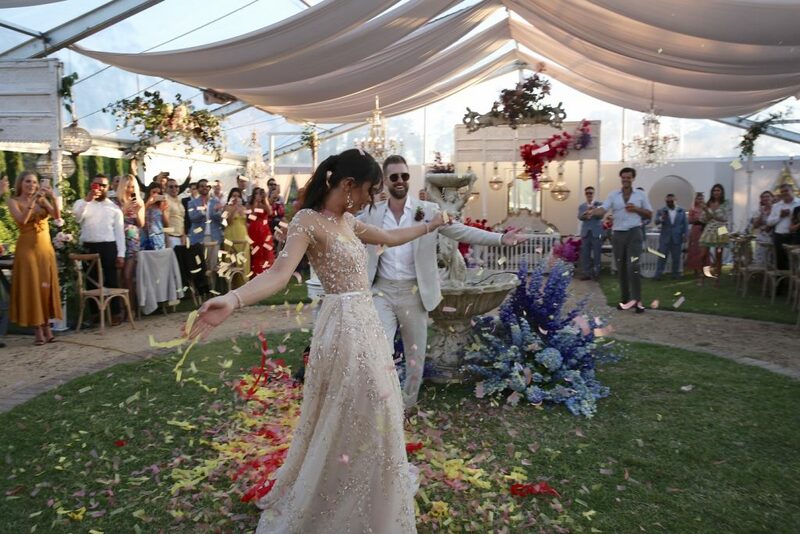 Samantha and Tim exchanged vows in a vibrant celebration that epitomized everything the couple loves: Tuscany, great food & wine, good tunes, minimal formalities, and perfectly styled flowers and color. 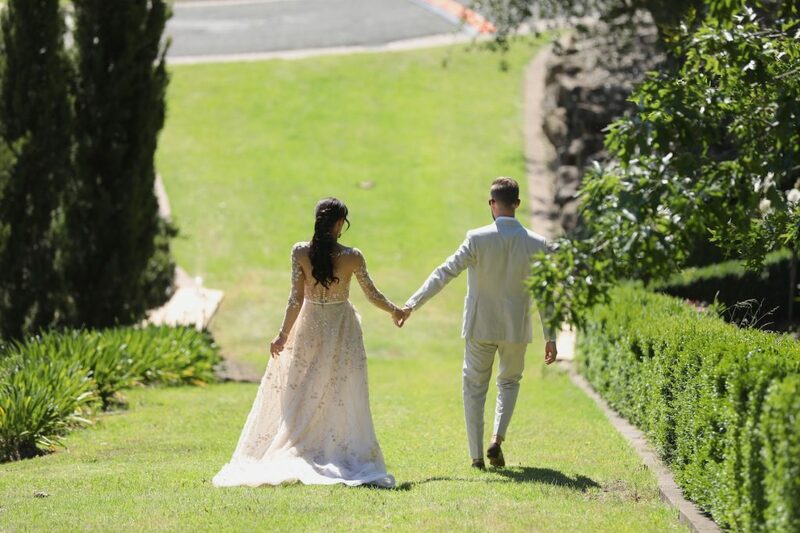 The wedding ceremony and reception were held on the garden of a private estate in Alpine, Southern Highlands NSW–a venue they chose for its “Italian vibe” as both Samantha and Tim had always dreamed of hosting an Italian garden wedding. 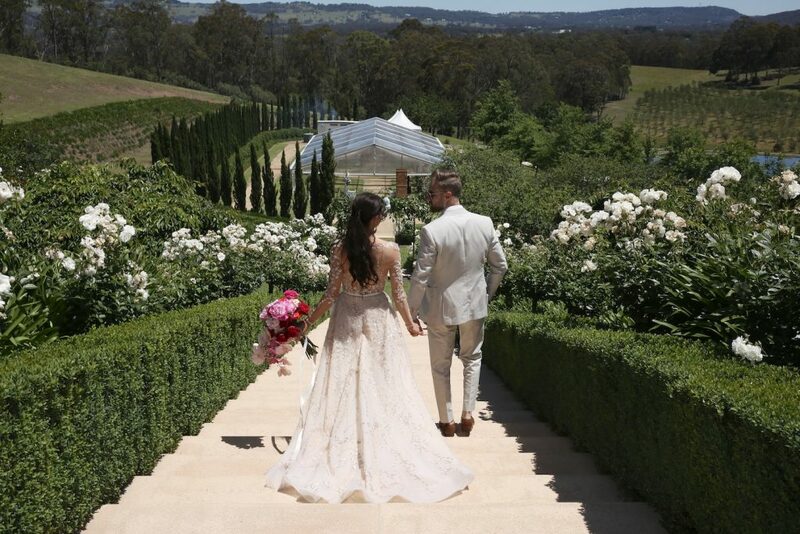 Samantha wore our Giselle princess gown which features botanical details and which complemented the floral-rich wedding beautifully. 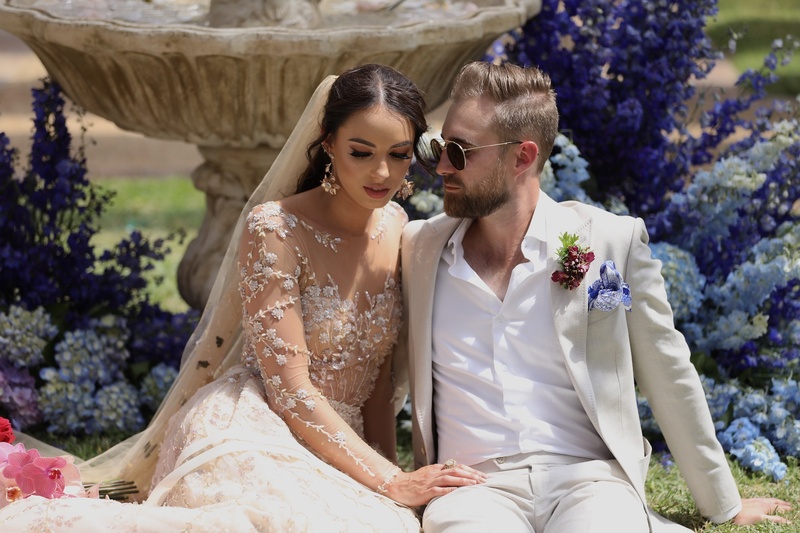 The couple’s wedding is so stunning it was recently featured on the Harper’s BAZAAR website. Scroll down to read all about it and to view their photo album, captured by ImageHaus Weddings! Tim proposed at our favorite place on earth: Amalfi, Italy. He had organized a gorgeous day trip to visit a beautiful cliffside winery, overlooking the most picturesque views of the sparkling sea. We were in the midst of a private wine tour, when I briefly turned around to put something in my handbag, when I turned back around, I saw Tim standing there holding the most insanely beautiful engagement ring. The tears were instant. The dress decision came very easily. In fact, it was made before I even had a venue or a wedding date. I chose to go to Helen Rodrigues for a Lee Grebenau trunk show. I had followed Lee Grebenau on Instagram for some time but had a completely different dress in mind from her. Originally, I had come in with my heart set on the Sansa gown, but ended up completely and utterly falling in love with the Giselle gown. If I could have stretched our budget to get the two gowns, I would have, but I am so happy I chose the dress I did. It is elegant and timeless, with the most beautiful detailing. It was also extremely lightweight and comfortable, which was very important to me as I wanted to be able to dance and move effortlessly. 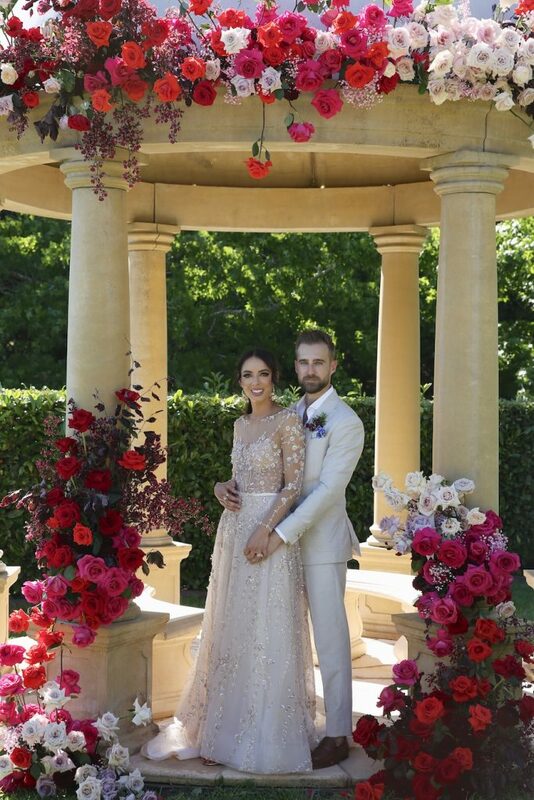 I adore the color of the dress, the intricate beading that gives off just the right amount of sparkle, and loved the fact that it had pockets. 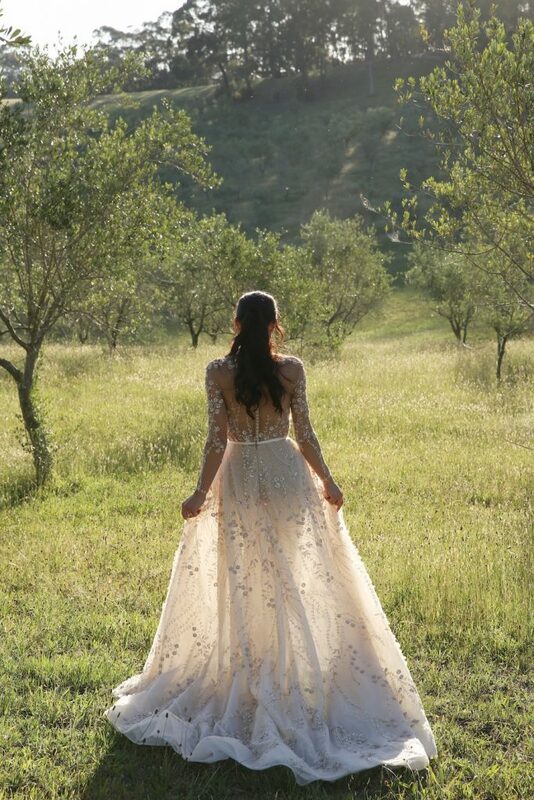 From the moment you step into this gown, you truly feel like a bride. The process of buying the gown was a dream. Helen and her team are magnificent and I could not recommend her enough. 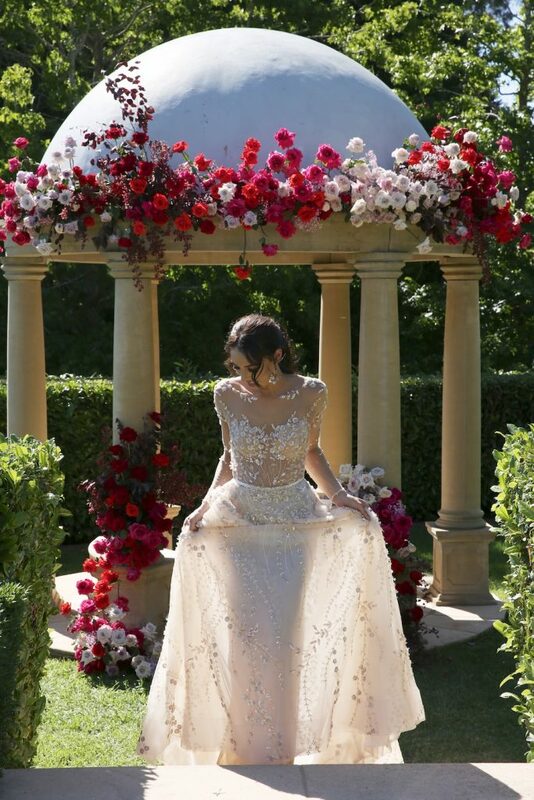 The measurements taken were impeccable, and the dress arrived fitting like a glove, so the in-house alterations were purely around getting the length right. What are some of your favorite wedding moments? 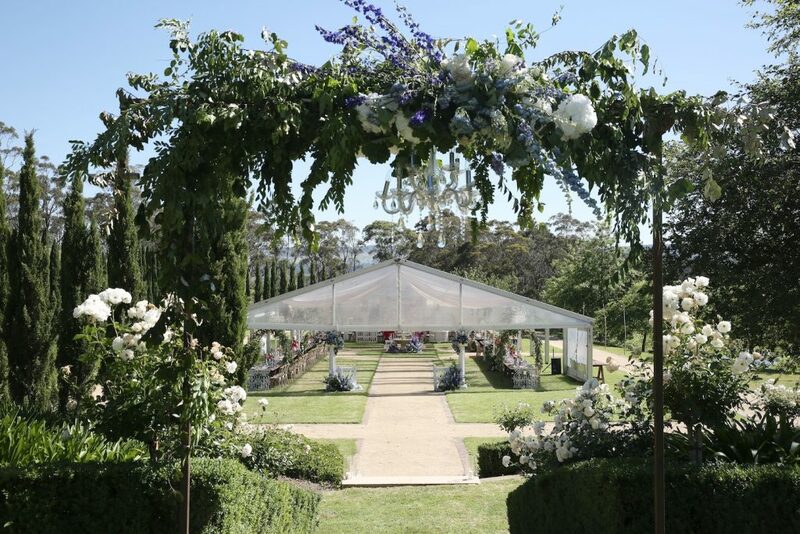 The natural flow of the garden grounds and of the day meant that our guests were continually progressing to different areas of the property. 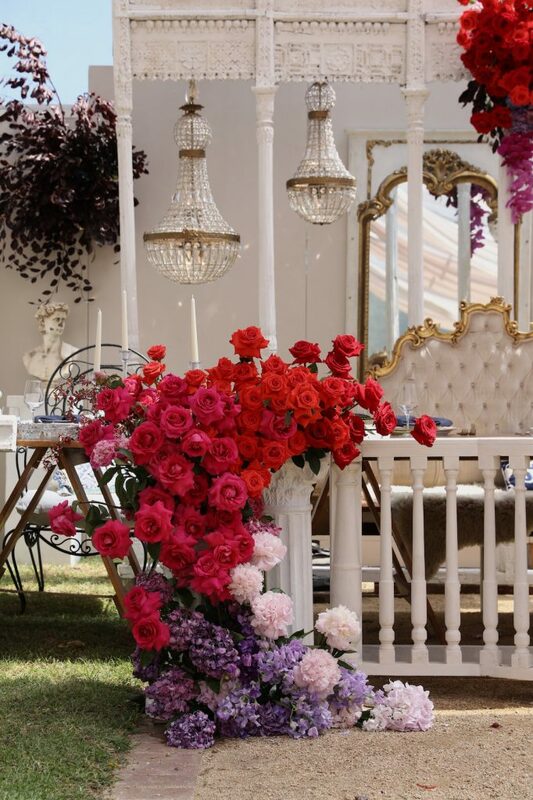 Whilst each area was incredibly special, we carefully planned out the entertainment, food & beverage offering in each location to ensure that every section somehow felt even more impressive than the last. 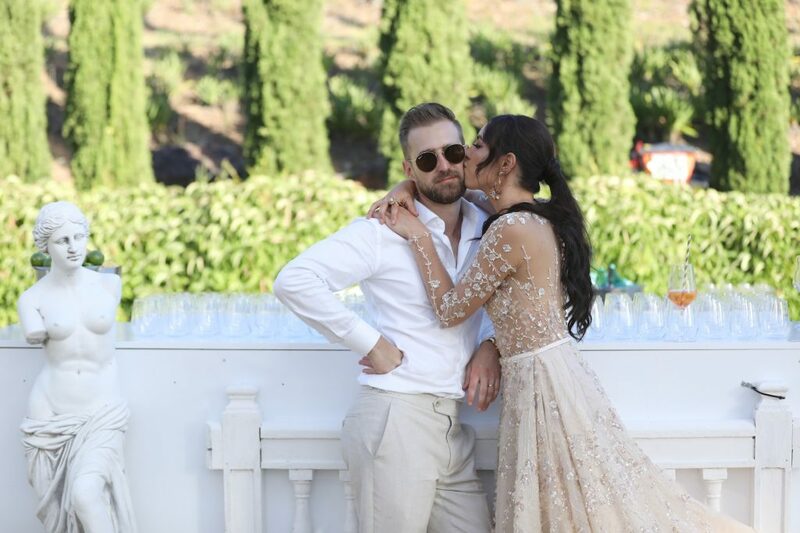 This helped keep everyone’s vibe on a constant upward trajectory, and kept our guests constantly excited for what was to come..
..hearing the beautiful words that our parents and my husband had to say in their speeches was also a treasured highlight. We literally loved every moment of the day, but the feeling of walking down the aisle, hand-in-hand as husband and wife was unforgettable. We were completely smitten and you couldn’t wipe the smiles from our faces. Was there anything you added that was very special to you? My veil was definitely something very special. 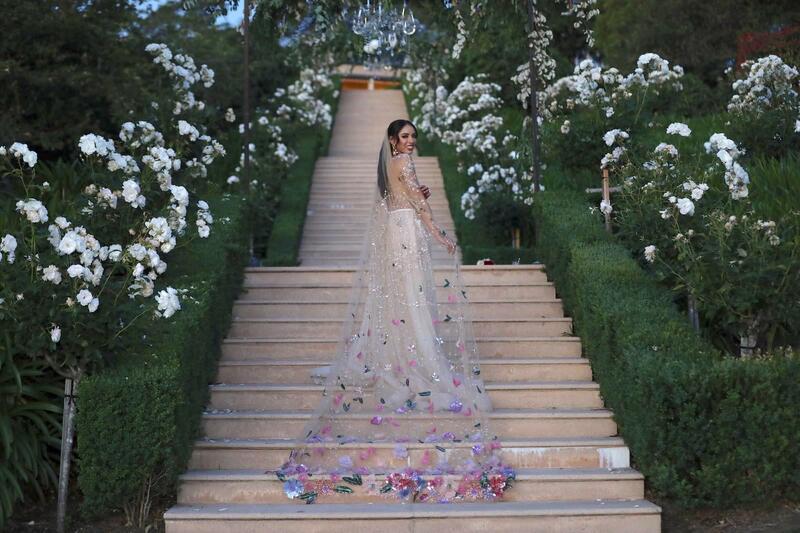 It was fully beaded featuring an intricate design of cascading vines, leaves, and pastel flowers. What made it even more special was that it was designed by my sister, Cassie. She is an emerging designer and her brand is called Casea the Label. 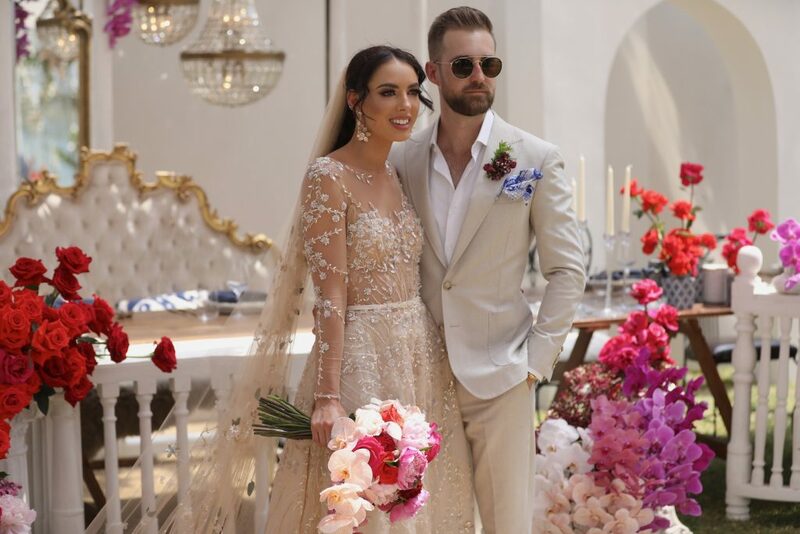 Congratulations, beautiful Samantha, and Tim!